been a while since ive been on. wat up limes!!! 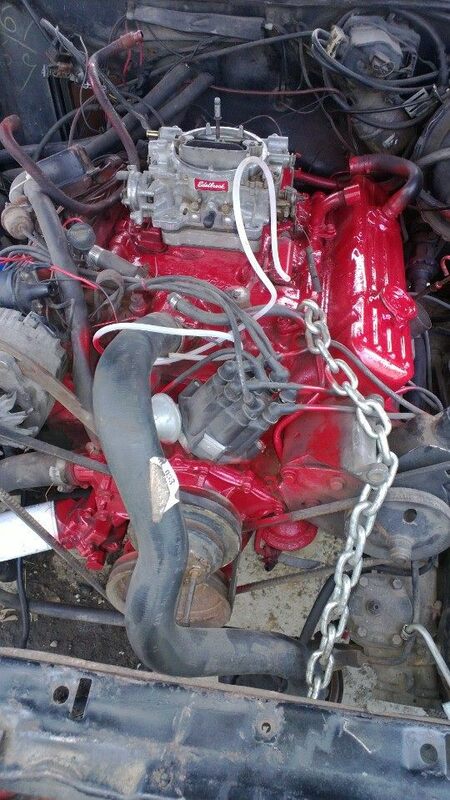 anyway, gotta a 455 buick motor was gonna do up, but sadly finances are not there for this project. need to sell. came out of 73 electra 225. 80kish on motor. has all pully, brackets. no dist or carb. needs gone through. asking $350.00. located in toledo, oh. no shipping. thanks. big john. WOW look who the cat Drug back in MONEY MONEY MONEY wassup ? Miss seeing ya here buddy !!! Moneypit, do you know of any 455 headers for 73-77 buick/chevy g3 chassis cars for sale? 455 elec. hei distributers for sale? any info appreciated! Troy-C! LOL Limey! Yeah I didn't know how interchangeable Olds and Buicks were! So 80's Cutty 350's work? Hmmmm, wow! Thanks Limey ,any part numbers handy? need hei , headers, then start. Famstyle wrote: LOL Limey! Yeah I didn't know how interchangeable Olds and Buicks were! So 80's Cutty 350's work?